Kefir. I’ve heard of it, but never tried it. I didn’t know much about it beyond that it was a dairy product. I had no idea if it was any good or not or even if I could buy it in my area. Kefir reminds me of a yogurt smoothie. However, it’s not actually yogurt, but it is in the same family. It’s been around for more than 2000 years and dates back to the Caucasus mountains in Europe. 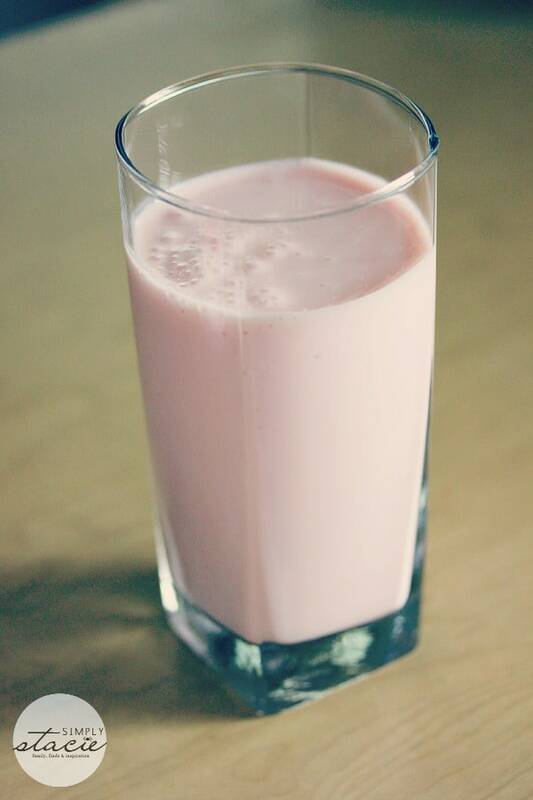 Kefir is a cultured drink made from milk fermented with Kefir cultures. It has a tart flavour and is thicker than milk, but thinner than yogurt. Lifeway Foods has been making kefir since 1986. They started making kefir in a family home in the Chicago area and have now expanded to 100+ varieties in USA, UK and now Canada! 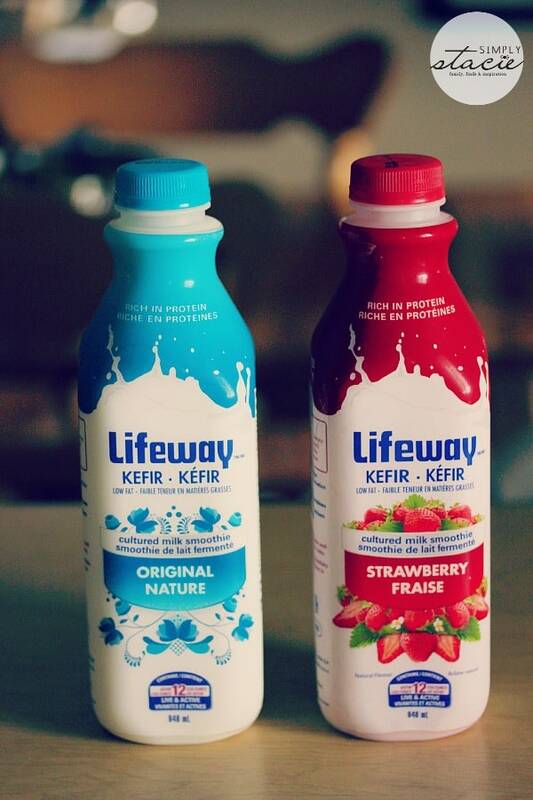 Yes, Lifeway Kefir can now be found at grocery stores in Canada! I liked that Lifeway Kefir has 12 live and active probiotic cultures. I take daily probiotics and find they’ve really helped me on a variety of issues. Their kefir has a higher probiotic count than most yogurts! Probiotics help digestion and immunity and I’m going to say it…yeast infections! If you are prone to them, try probiotics! I tried the Strawberry and Original flavours. My favourite was the Strawberry. It tastes like yogurt. It’s smooth, creamy and filling. The Original is also pretty good. It’s not sweet and the tangy flavour really pops out. It reminded me a little of buttermilk which my Grandma June used to drink. I bet she would have enjoyed kefir. In fact, you can use Original Kefir as a substitute for buttermilk, sour cream, mayonnaise and yogurt in recipes. I’ll have to try that next time I’m making a recipe. I drank all the Strawberry Kefir, but I’ve got a little bit left of the Original flavour. 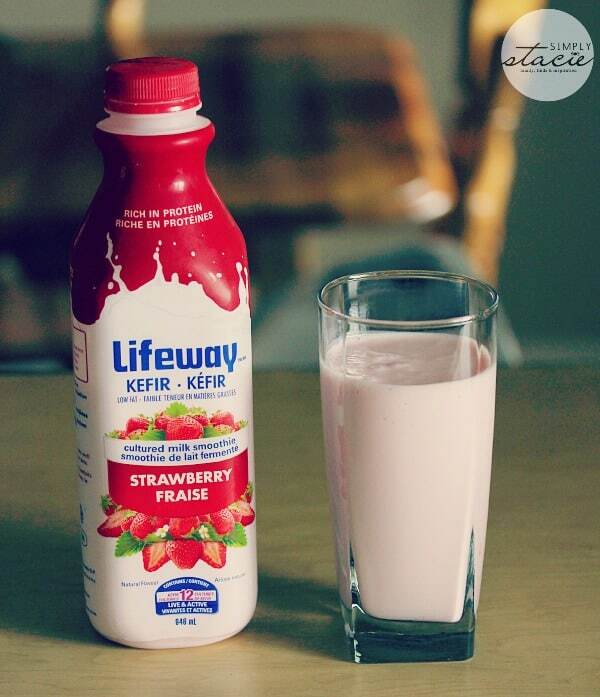 Lifeway Kefir is available in Original, Strawberry, Peach and Blueberry flavours. I’m looking forward to trying the latter two. Look for it at Safeway, Shoppers Drug Mart and Sobeys in Canada! Connect with Lifeway Kefir on Facebook, Twitter and YouTube. I’m now curious enough to want to try it, I’ll look for it when I hit the stores today! I have seen this in stores and have always wanted to try it. Is it like a Yop consistency? My kids would probably love it if it is and it would be great for school lunches. I have had this drink, and it tastes so good and is so healthy. My favorite is the Strawberry flavor. It tasted better than I thought it was going to. I have never heard of it, but would love to try the strawberry. I love that it is so good for you. I live in rural southern Missouri & need to find!!! Lifeway Kefir is the base for my smoothies. This helps me a lot with allergies. I have never tried store bought versions. I just started, with help from a friend, making my fermenting my own. I’m not liking it yet. I haven’t added any flavouring. That is my next step. I will have to try some of this Lifeway brand. I was not aware of the health benefits of kefir, thank you! Great source of probiotics, for digestion and immune-system support! Lots of good probiotics makes this a wise choice. I admit I was like you…heard of it but didn’t know a lot about it. A dairy product that was good for you and had protein. I’d like to try the flavors and could use the benefits. Sounds interesting going to have to look for it at the stores now. I have never heard of this, but next time I’m out and see it, I’m going to get one to try, thanks for sharing!! Same here, I’ve heard of Kefir but never tried it. I would try this if it were chocolate, or I’d get the original flavor and add chocolate syrup. Thank you for sharing this review. I would be up for trying it. I have read good things about it. I am like you. I had heard of it but didn’t really know what the deal with it was. Thank you for explaining it! I think it would be something that my kids would like. They are huge yogurt fans and love any kind of smoothie, so I figure I have a 50/50 chance they will like it. Thank you! Kefir can be hard to find, and I haven’t seen Lifeway Kefir. I also didn’t know it came in flavours. I like Kefir and will look for this kind. Thanks!